It’s no secret that one thing we all have in common is our love for binging shows and movie watching. Be it catching a season premiere, a new episode after a previous cliffhanger ending, or even reruns of our favorites – we can never get enough TV entertainment. So don’t we all deserve the best quality? 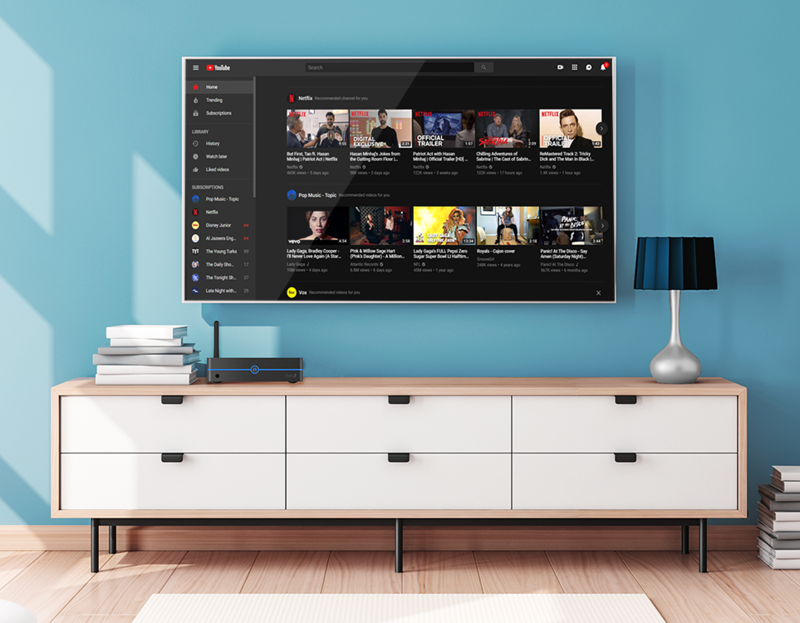 To keep up with our love and demand for great TV, the technology industry has developed smart TVs – which can connect to the internet, and give access to popular streaming apps. Some models are even integrated with voice recognition tools, like Alexa, for assistance. However, before you run out to buy a smart TV to replace your old TV – keep in mind it will run you several hundred dollars. The high expense of a smart TV is a pretty common reason a lot of people have yet made the upgrade to such an exciting entertainment device. This is where your trusty Byte3 comes in. With a built-in Windows 10 Pro operating system, this mini PC is able to connect to your TV to instantly turn it into a smart TV. All you have to do is plug in your Byte, and visit the Windows app store to download all of your favorite entertainment applications. Once downloaded, sit back and browse through them to watch your favorite movies and shows on apps like Hulu, Netflix, Youtube, etc. You can also go beyond just movie and show watching for entertainment. Download music apps like Spotify and Pandora to enjoy music from your television speakers, Google Chrome to surf the web, Skype or Google Hangouts to video chat with friends, and so much more. Since the Azulle Byte 3 has a Windows operating system, it also has a voice recognition tool like some smart TVs, with Cortana ready to assist you via voice commands. Speak to Cortana to quickly launch your applications, set reminders or to receive answers to questions you may have. The Byte3 is definitely real. Built with a Dual-Core Intel® Apollo Lake J3355 processor, this mini PC can stream it all with little lag concern; and with its Intel HD Graphic card – you can even enjoy 4k content at 60FPS. So you might think an alternative to a smart TV, which costs an arm and a leg, will cost you at least a leg still. But that’s definitely not the case here. The Azulle Byte 3 is actually cost affordable, with prices starting at just $179.99. Pick one up to upgrade your home entertainment at a steal.